This weekly printable planner is laid out as a weekly planner template. This is the printable planner you have been searching for! Finally, one place to organize your life. 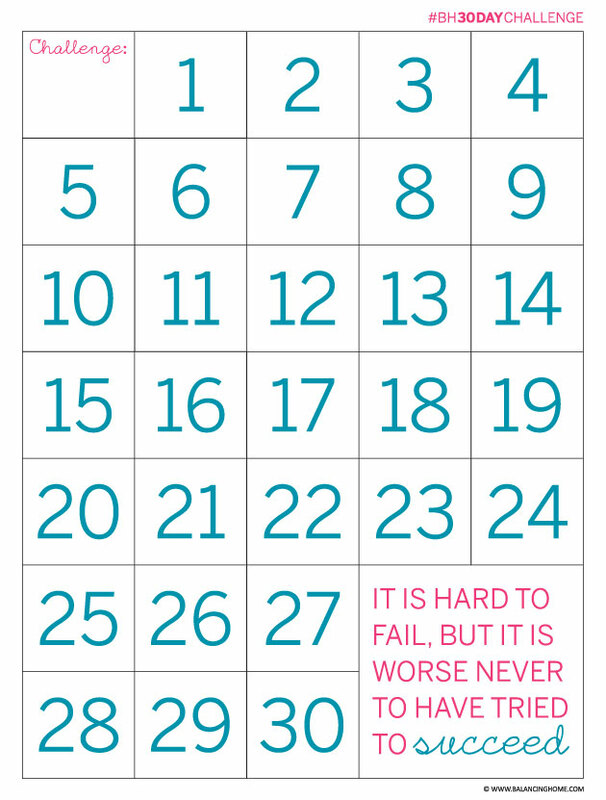 You’re going to love this printable planner. 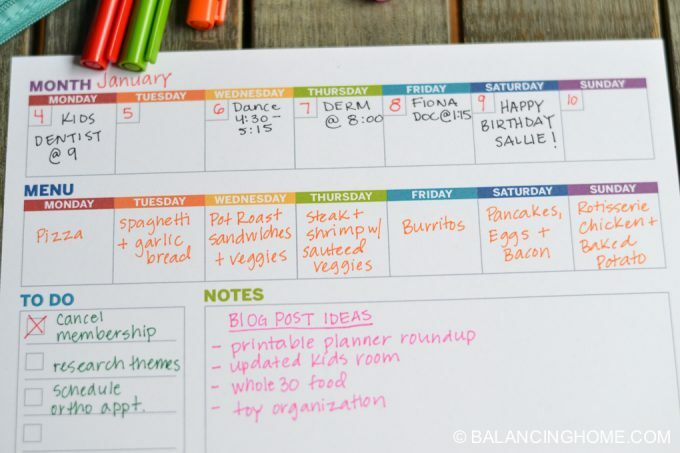 This weekly planner printable will help you organize your week. 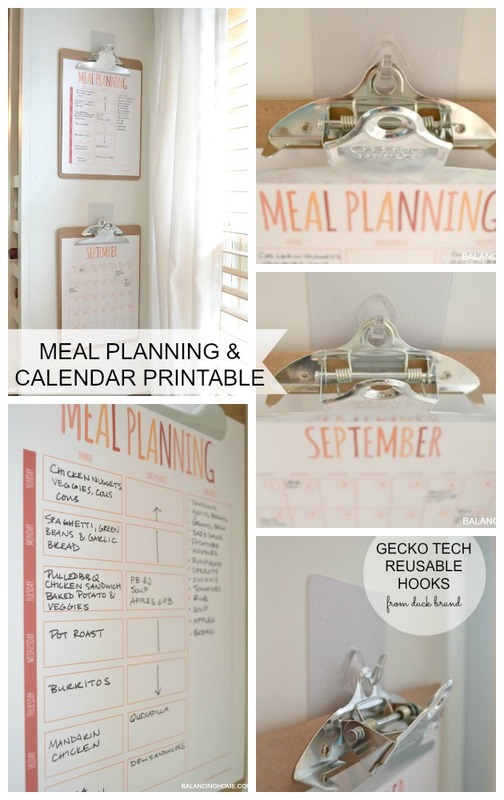 This is the planner printable you have been searching for. 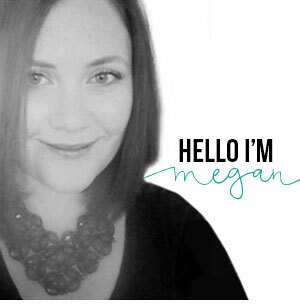 This personal planner will handle all aspects of your life. Finally, a weekly planner template that will help you stay organized. Your weekly schedule will have such flow now. Just 10 minutes with this Weekly Printable Planner Template will have you organized and ready to take on the week! 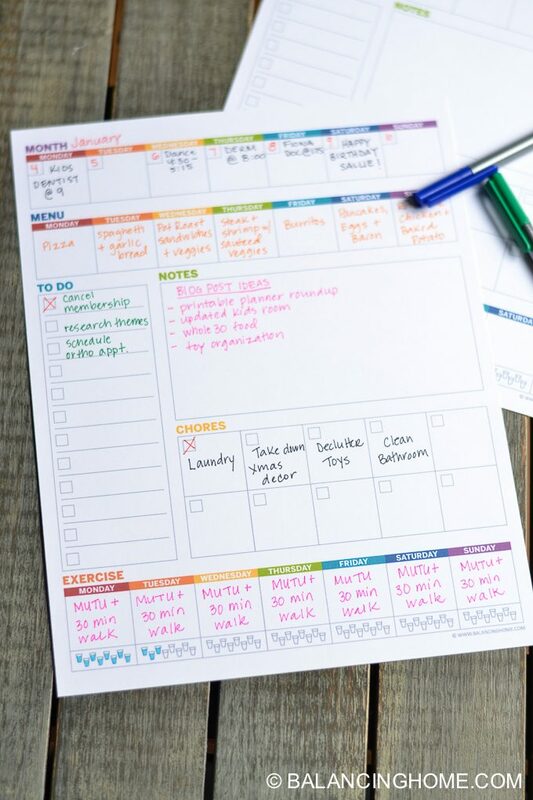 It is your weekly schedule, weekly calendar, meal planner, exercise tracker, water tracker and to-do’s all wrapped into one awesome weekly planner page. 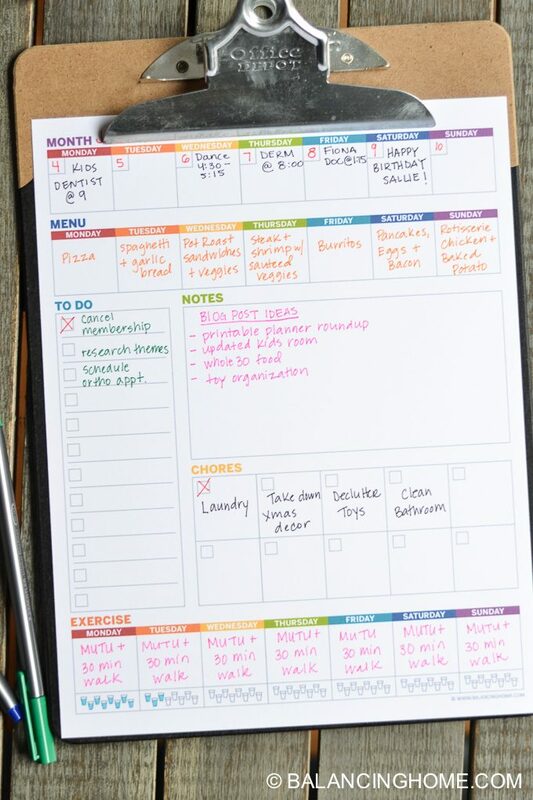 This printable planner is perfect for the command center. 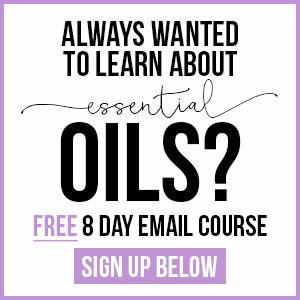 It will help everyone in your family stay on track. 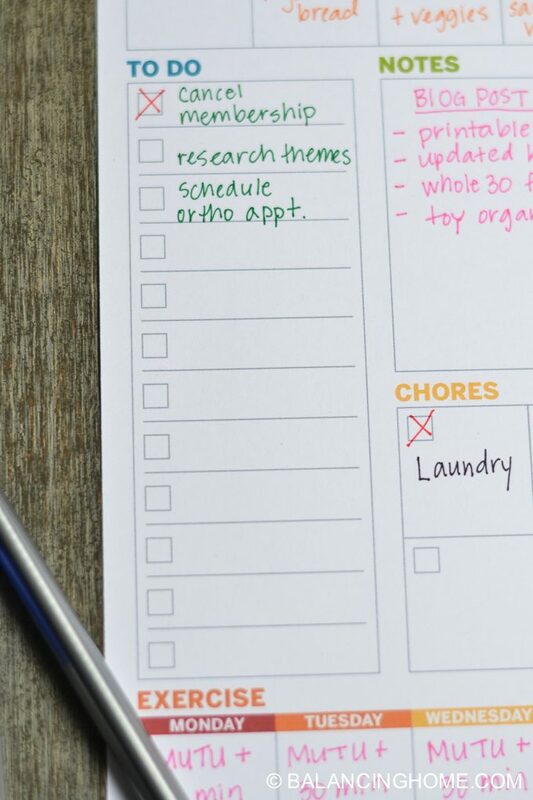 You can even assign chores and the whole family can be informed about upcoming activities and what is for dinner. Can you believe it is almost 2016? I have a hard time believing how much has happened in 2015. With the addition of a new baby and the older ones in school with a jam-packed schedule I’ve found myself desperately searching for some order and calm. This weekly planner printable template will do exactly that! I really don’t like going into a week feeling discombobulated. Sitting down on Sunday for just five to ten minutes with this weekly planner printable gives me focus and helps to keep me on track throughout the week. Print this weekly planner template off and keep it handy throughout the week. There is a section for just about everything! I recommend creating a weekly schedule with your spouse. This FREE printable weekly planner template will help you create flow in your week. This weekly printable planner contains a weekly calendar printable for appointments. 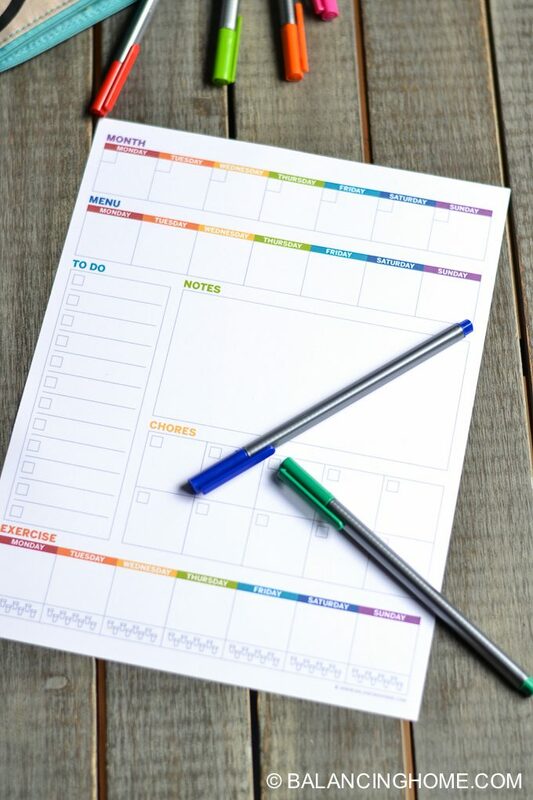 The planner template also includes a menu section to help your coordinate your meal plan with your weekly activities. Plan that crock pot meal for soccer practice day! A notes section to brainstorm or write down any important ideas you have floating around. Perhaps a place to put down thoughts of thanks. It is your weekly planner printable, to be used as it suits you. The weekly planner template offers a notes section because I know you have big ideas floating around in that head. Put them down on paper! Putting your ideas down on paper allows you to relax. The weekly printable planner also includes a to do list with check boxes. Throughout the week, to do’s pop up. This weekly planner template gives you plenty of space to track what you need to accomplish this week. Putting it down on paper helps you to release the angst of carrying it around in your head. Motherhood is full of enough angst, grab the right tools and create the right routines to let go of as much as possible. 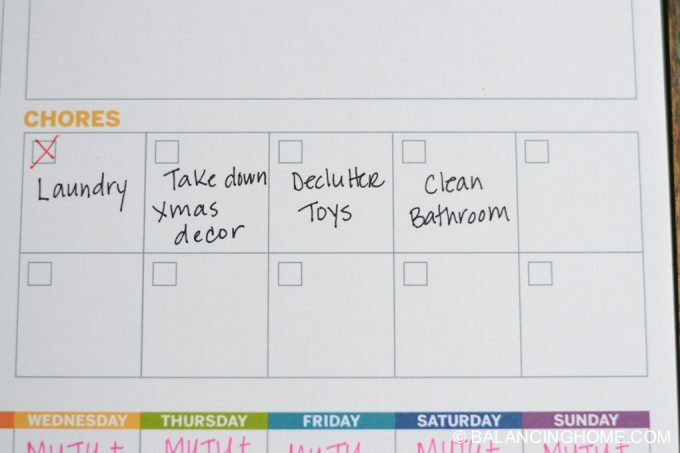 A weekly planner has to make room for the things around the house that need to get done. 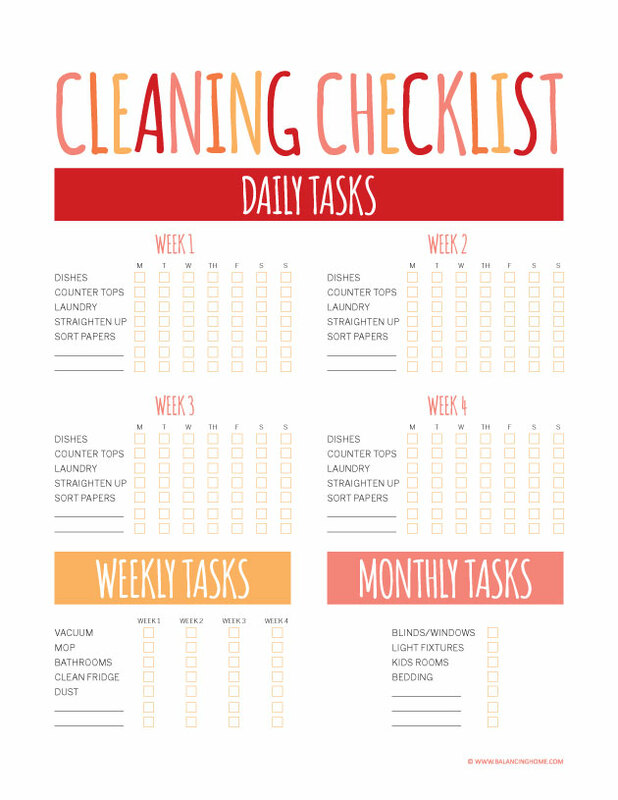 This weekly printable planner includes a section to write down chores for the week with checkboxes. You can assign a day to the chore if that helps your home flow better or even a person. 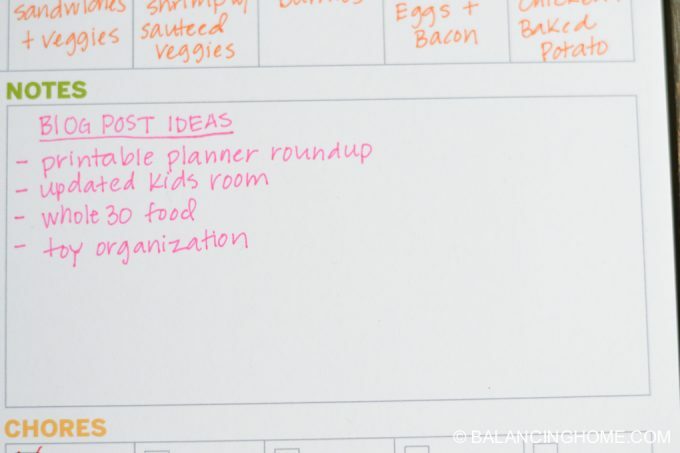 No planner template is complete without a place to plan for activity/exercise. 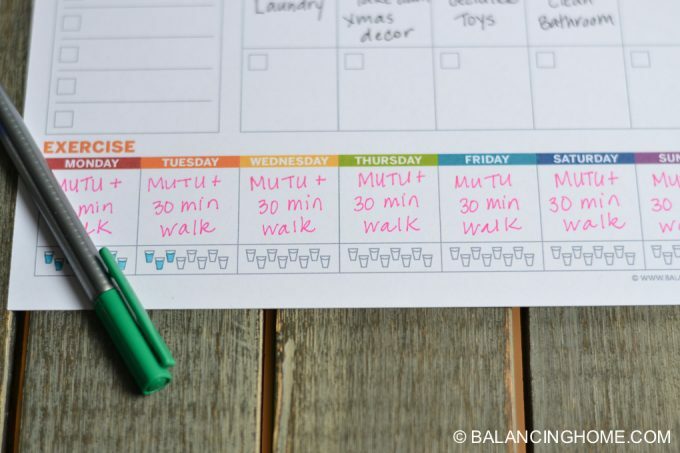 This weekly printable planner also includes a water tracker. There are little cups you can check off or fill in to track your water intake for the day. How cute is that? 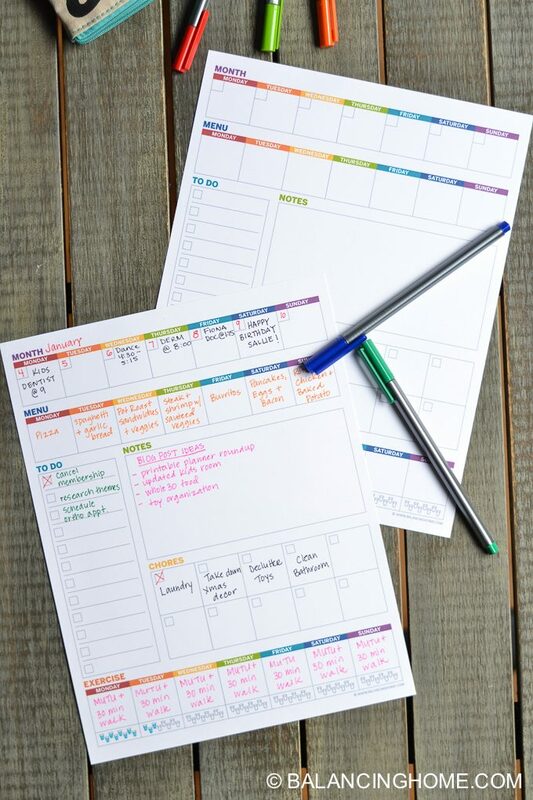 This free printable planner. It is undated, so no matter when you find it, this printable planner can serve you and your family. You can write in the month and the date, which means you can print of this free weekly printable planner and use it whenever the mood strikes. Make this Sunday the day you sit down and plan for a smooth and organized week. Do you take time to plan out your week? This one little act of sitting down with the weekly planner printable, looking over what is in the week ahead and making a plan makes a world of difference.